After the release of ‘The Great Indoors Part II’ – the second instalment in a trilogy of EPs documenting the sound of an ever-evolving band – the revamped line-up has found its feet. Lynchpin brothers Campbell and Oliver Austin are now joined by Jimmy Hatherley (Lonely Joe Parker, Me One) on guitar and electronica producer Lewis Renshaw (aka Niggle, Cycrowave Murry) on bass. 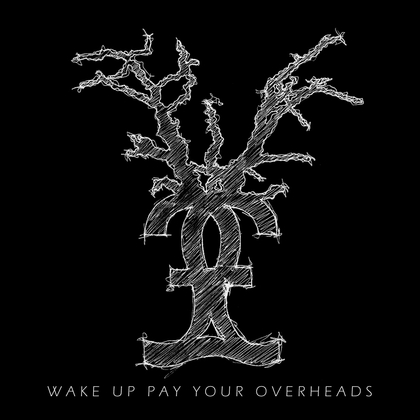 Wake Up Pay Your Overheads picks up where ‘The Great Indoors Part II’ left off with a rootsy bluegrass shuffle driving the song from city to countryside. This back-country hoedown erupts into a brawl of pounding bar-room piano and sharp, flowing guitar like Regina Spektor letting her hair down over a bottle of Bourbon with Fleetwood Mac. Campbell Austin’s virtuosic, breathy vocals shine throughout, but the status quo is gently interrupted by a sparse, modern (Kings Of Leon, Cold War Kids) breakdown that builds into a crescendo, colliding with an infectiously catchy gang vocals (Maccabees, Hot Club de Paris). Moneytree have been developing cpntinuously since brothers Campbell and Oliver could hold instruments. In the last few years they have released two EPs featuring collaborations with members of Mystery Jets, The Holloways, Mumford & Sons, Modernaire, The Moulettes, Thomas Tantrum and Lonely Joe Parker. Having signed to Sotones, they spent 2009 writing and recording the final part of their ‘Great Indoors…’ triptych which will be released in Spring 2010.